Who is Andrew Yang, Democratic candidate for president? Courtesy of Andrew Yang campaign. It’s debatable how realistic Andrew Yang’s odds are of winning the Democratic nomination for president, but one thing is for sure: Yang has already drawn attention with one idea since announcing his candidacy in November 2017. Yang has already announced one of his platforms is to give all adult Americans a base $1,000 income each month, no strings attached. 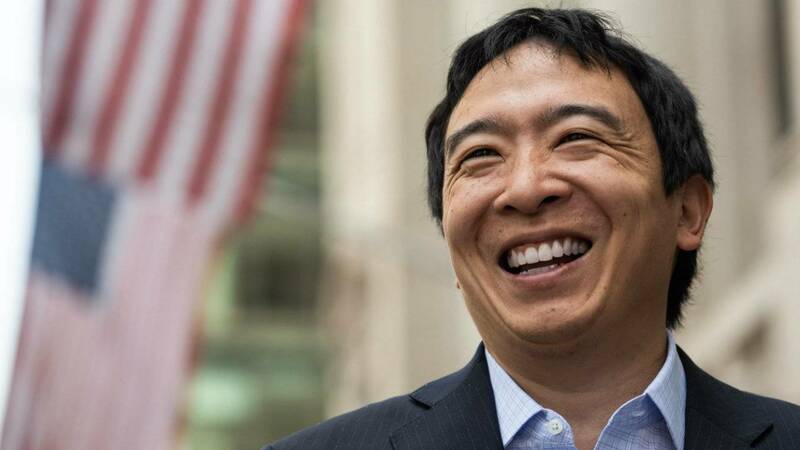 “The most direct and concrete way for the government to improve your life is to send you a check for almost $1,000 every month and let you spend it in whatever manner will benefit you the most,” Yang wrote on his website. Many are questioning the feasibility of that idea, but Yang hopes to convince enough voters it will work to keep him around in a crowded Democratic race. While other candidates are experienced politicians, Yang is an entrepreneur who founded Venture for America, a nonprofit organization with a mission to recruit college graduates to build startup industries in economically challenged cities for two years. Yang, who stepped down in 2017 as CEO of Venture for America, would be the first Asian-American president, if he is elected. Click here to see more news about Andrew Yang.